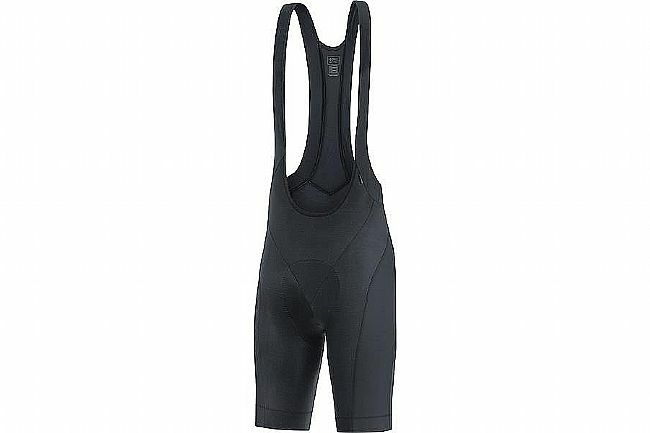 The Gore Bike Wear Men's Element Bib Short+ are entry-level bib shorts designed for riders who have gotten tired of their shorts. Featuring a lightweight, airy mesh upper, the straps virtually disappear once over the shoulders, providing optimal support and comfort along the waist and lower back for all-position riding. Say goodbye to wandering waistbands or over-tightened shorts with a sagging chamois. Slim fit contoured to a riding position, but comfortable enough for everyday use. Moisture wicking fabric through body of short boosts comfort. Lightweight airy mesh bibs go almost unnoticed. These are priced as budget bib shorts but fit and feel so much better. Although claimed to not have much in the way of bells and whistles, I found these shorts to exceed expectations in terms of quality, fit, finish, and comfort. The bib was comfortable and affordable. Great for short 2-3 hours ride. Not a bad bib short, but not an all day long ride short. Use mostly for spin classes and shorter outings.